This is the easiest dessert I have ever seen created. 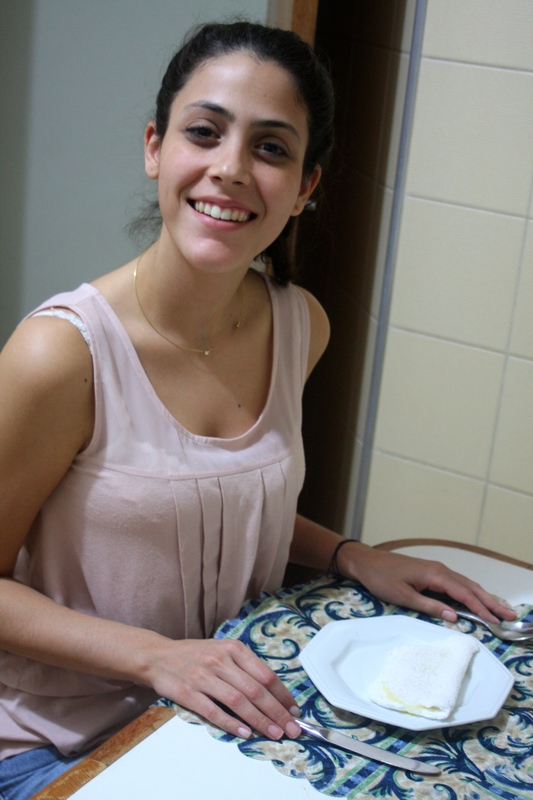 My darling friend Carolina showed me how to make it! Heat a small pan on very, very low heat. If you have a particularly hot burner, you might want to put a simmer plate on the stove. 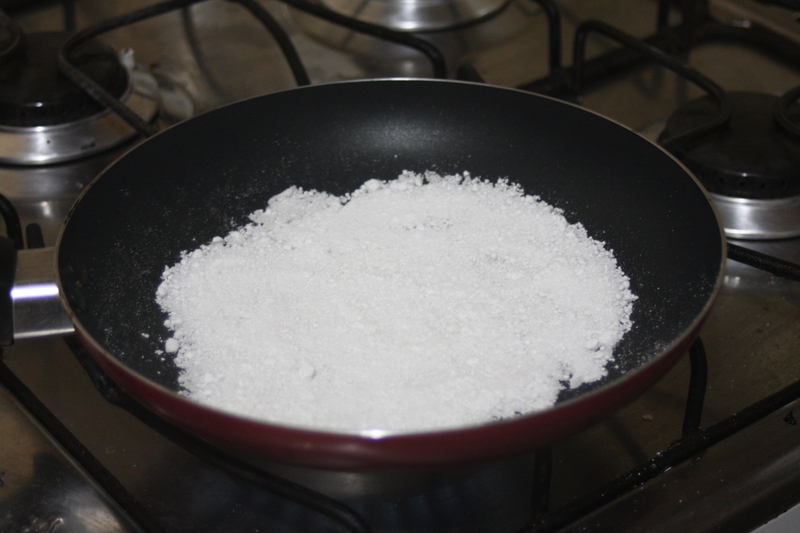 Spoon a few tablespoons full of tapioca flour on the pan, trying to sprinkle it evenly on the pan. 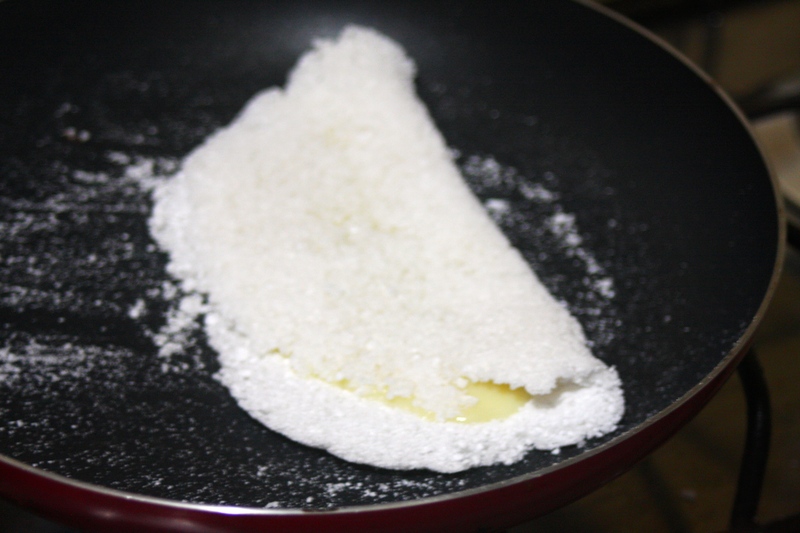 Using a spoon, gently press the tapioca down to the pan. Note: The pancake will not brown on one side, you don’t want it to. It should remain white. 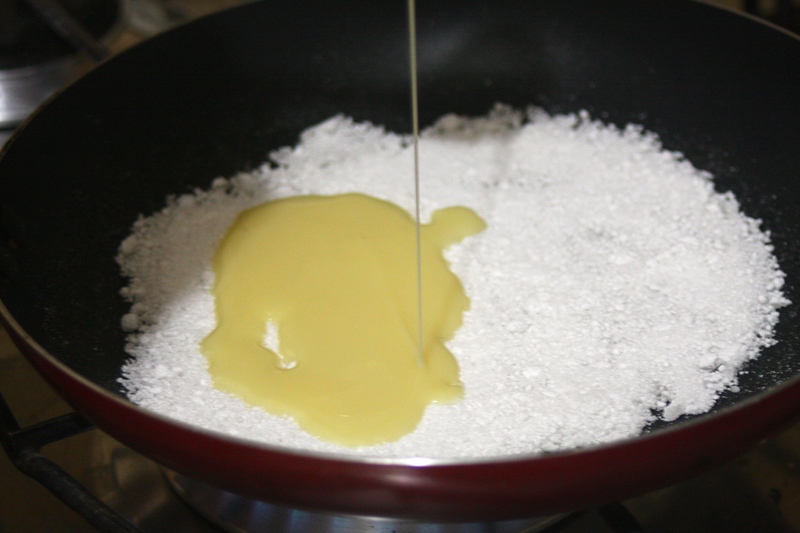 It will congeal a little bit as it cooks and will become flip-able in a short time. On one half side, spoon or pour your favorite filling. When you are ready, fold it in half. Serve it up! Yay Carolina! Like “They Call me Saucy” on Facebook! Enter your email address to follow They Call Me Saucy and receive notifications of new posts by email.